FP Nord welcomes Laurence Petit-Dessaint. 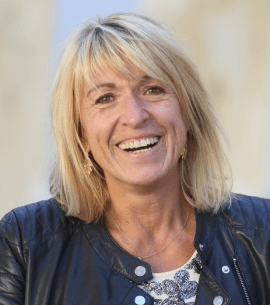 Laurence Petit- Dessaint , Founder and Executive of the Institute of Success, advises and trains leaders, managers and teams for over 15 years with the pragmatic desire to accompany them on their success. Her professionalism is based on a dual training ( social worker and Political Science ) which gave hier the opportunity to discover the world as diverse and complex . Curious, she has a great ability to adapt , she knows her unconditional transmit power based on emotional intelligence and positive thinking . Female engagement , she held national responsibilities within the NGOs BPW . Welcome aperitive at 7:30 p.m.